Tony Bennett stands up for his good friends George and Mariana Kaufman at the Fashion Institute of Technology (FIT) Gala 2013. Photos by Owen Hoffmann, Patrick McMullan Company. 10 June 2013/NEW YORK – THE Fashion Institute of Technology (FIT) and the FIT Foundation have got to be happy campers. If not, ‘tis a pity. 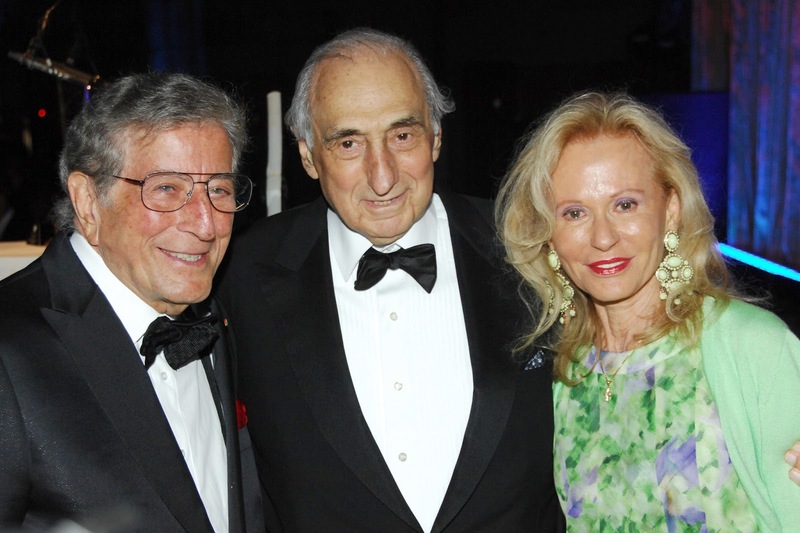 Not only did their annual gala Monday night at Cipriani 42nd Street attract big names, it also attracted big spenders. Are FIT Gala honoree Kay Krill and Karolina Kurkova grinning because they know something that no one else does? Honored were three individuals who have supported the efforts of the FIT and/or undertook initiatives to promote distinct design and fine fashion. George Kaufman (Kaufman Organization chariman), Kay Krill (President and CEO ANN INC.) and Stefano Tonchi (W magazine editor-in-chief) were the honored guests. The trio was introduced by Tony Bennett, Karolina Kurkova and Jessica Chastain, respectively. Joan Smalls, Peter Dundas and Gala chairperson Yaz Hernandez turn out for the FIT. Exciting news was also broken when honoree KK disclosed to the room holding Reem Acra, Francisco Costa, Nanette Lepore, Ralph Rucci, Joan Smalls and several hundred others, that ANN INC (Ann Taylor, Loft) will establish an annual scholarship to be awarded to one FIT student who exhibits a passion for designing fashion for women. Visit http://www.fitnyc.edu/14212.asp to learn more about the Fashion Institute of Technology (FIT) Gala 2013 and the FIT Foundation.